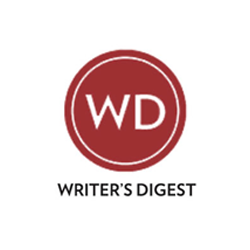 Writers are particularly well-suited to blog books. After all, writing is their strong suit, and to produce a blog post you must write. But many writers don’t write. They dream of becoming authors and never finish their manuscripts. That’s why you want to blog a book. 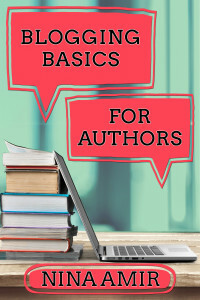 Blogging a book means writing your book from scratch one post at a time and publishing it on your website as you do so. You create a manuscript offline in a word processing program at the same time. Sit down several times a week or every day and write for as long as it takes you to compose 300 to 500 words. It might take you 45 to 60 minutes to finish a blog post that constitutes one bit of your manuscript—one small section. Copy and paste that post into your blogging program. Add a photo and any formatting necessary. Share that post with your social networks in status updates. 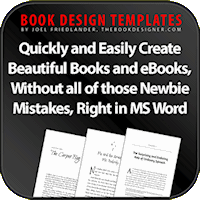 This is the easiest and fastest way to write a book and build a platform to help you promote it at the same time. I’ve blogged full-length books in five months and shorter ebooks in one to three months. 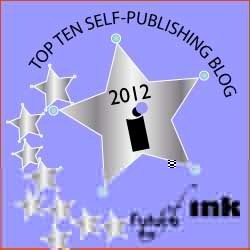 If you haven’t written your book but would like to finish your manuscript, consider blogging a book. Not only that, consider blogging a (short) book in 30 days. Here are eight reasons to blog a book. You will write your book easily and quickly one post at a time. I wrote How to Blog a Book: Write, Publish, and Promote Your Work One Post at a Time, which was published by Writer’s Digest Books, in just five months. I published just the first draft on the blog. Editing the manuscript took another few months. You’ll finally write your book. For ages I’d been complaining about how I didn’t have time to get my books written. How to Blog a Book almost wrote itself. Why? 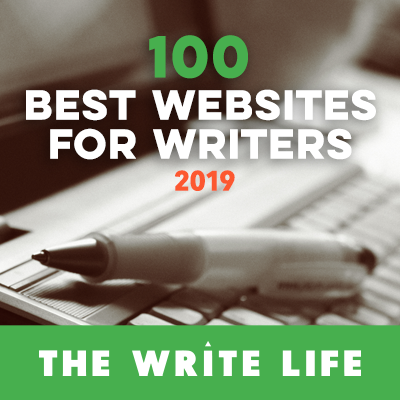 Because I made a commitment to blog a certain number of days per week, I didn’t have to write a lot per day, and readers served as my accountability partners. You consistently will write at least 300 words per day or per week. If, for example, you write 300-word posts three times per week, you will produce 900 words per week. That’s almost four thousand words per month. In 12 months, you’ll have a 48,000-word first draft of your book. By the time you edit and revise, your book may grow. If you write more often—say, five days a week—or you write longer posts—say, 500 to 600 words—you will produce a longer manuscript in less time. You can determine how fast you complete your blogged book—and achieve that goal. To blog an entire manuscript doesn’t require a large time commitment per day. It just requires the commitment to produce the blog posts—write the manuscript—on a consistent schedule each week. 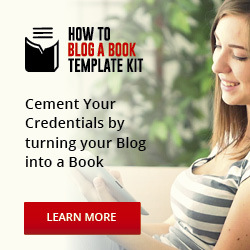 By blogging your book, you build an author’s platform. You need this foundation of potential readers in your target market to promote the finished book successfully when it is released. 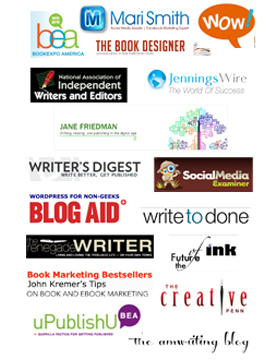 The number of readers you attract to your blog may, in turn, attract a publisher or agent to your blogged book. Or you can put your blog statistics in a book proposal when you approach agents and publishers, which is what I did with How to Blog a Book. If they are impressive enough, you’ll get a book deal. Why? Because you’ve test-marketed your book idea and proven that there’s a readership for it. And you’ve created a built-in readership for the book—your blog readers. As you blog your book, especially a nonfiction book, you organically drive your blog up in the search engine page rankings, so it becomes discoverable. I drove the blog How to Blog a Book blog to a #1 Google search engine page rank just by blogging the book, and I never worried about keywords. I simply blogged about my topic day in and day out. Doing so organically provided Search Engine Optimization for my site. With all the changes Google makes to its algorithms, quality, targeted content is what will get your site a high ranking with Google and retain it despite future algorithm changes. Discoverability in the search engines allows readers, the media, agents, and publishers to find you. When you blog a book, your book gets read. Most writers write to be read. If you haven’t finished your book yet, start blogging. As readers arrive on your site and read your posts, you’ll gain the satisfaction that comes with authorship. Your work will get read. You can then decide to blog a book (or start blogging with that intention) and share your work with the world. If you have any trepidation about blogging a full-length book, blog a short book. Do it in a month. If you already have a blog, blog a short book on a topic relevant to your readers and your existing blog. You can do this by writing a series of posts or a whole month’s worth of posts. In a month, you could have the first draft of a short book ready for editing. And you’ll be so much closer to becoming an author. 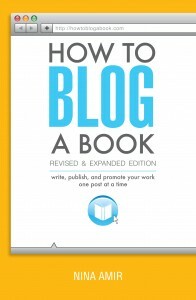 To learn more about how to blog your book, purchase a copy of How to Blog a Book. Need help? 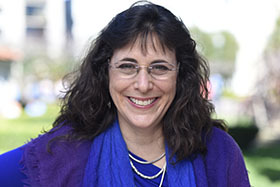 Hire a blog-to-book coach. 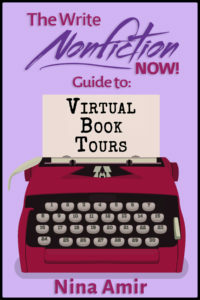 Tell your friends about National Book Blogging Month! Share this post or the image to the left. Let’s get more people blogging books!